There was a surge in sales of newly built condos in the Greater Toronto Area in June. 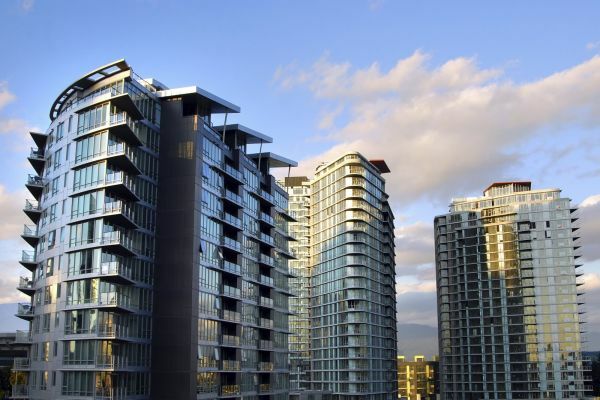 The Building Industry and Land Development Association (BILD) says that sales of new multi-family condo apartments in high-rise and mid-rise buildings and stacked townhomes jumped 59% from May. There were 6,046 new homes sold in the GTA in June and just 9% were low rise single-family homes. “We continue to see that the Province’s fair housing plan in effect since April has had little impact on the new home market,” says BILD President and CEO Bryan Tuckey. “Unlike the resale market which experienced a slow down last month, the numbers reflected in the new homes market are quite different. Prices continue to rise and supply continues to be low. Three out of four of the new homes purchased in the GTA so far this year have been condo apartments,” added Tuckey. New condo sales surpassed the previous record set in March 2017 with 5,495 units sold last month, up 89% from a year ago and well above the 10- year average of 2,550 units sold. In contrast, 551 new single-family low-rise homes were sold reflecting a 72% drop from last year and 64% off the 10-year average. Prices of condo apartments hit an average $627,000 in June, up 34% from a year earlier. “With condo prices continuing to escalate, this segment of the market is becoming out of reach for many consumers,” Bryan Tuckey warned. The average price for single-family low-rise homes was up 40% year-over-year to $1,250,262.